Yellowwood State Forest contains over 23,000 acres of multi-age forest in western Brown County. One of my favorite sections of this property is found at Lucas Hollow along a trail I refer to as “Warbler Alley.” In May and June of 2016, we recorded 21 different warbler species on tours through this area, and 16 of those likely nest in this section of forest. 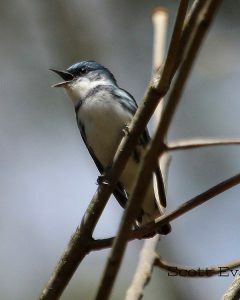 Some of the most sought-after warbler species–the Cerulean, Hooded, and Black-and-white Warblers–can usually be found on this tour. It’s not just warblers that like the habitat found in Lucas Hollow. Other colorful songbirds we often encounter in this area include the Indigo Bunting, Scarlet Tanager, Baltimore Oriole, and Yellow-billed Cuckoo. 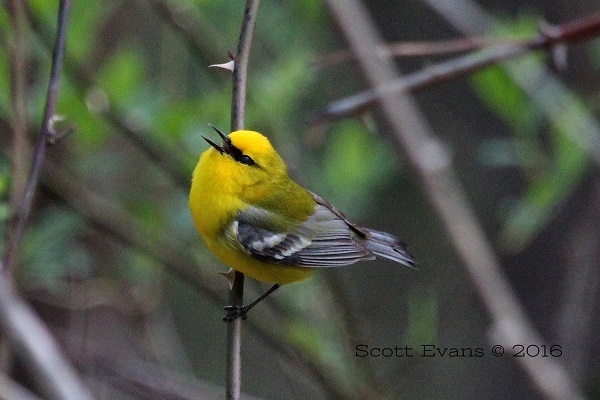 During migration or breeding season, Lucas Hollow provides a treat for all level of birders. The forests of south-central Indiana are home to a wide variety of songbirds, and Yellowwood State Forest is among the best for birding. On this tour we visit several different birding hotspots in order to give ourselves the best chance at finding a long list of species. 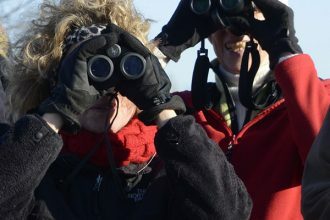 Along the way, I will help you to learn to identify many of the birds by their songs and calls. Stops on this tour will likely include T.C. Steele State Historic Site (great for woodpeckers!) and Lucas Hollow (great for warblers!) and could include Crooked Creek SRA, Kent Rd., and Stillwater Marsh. I do my best to customize the tour to match your interests, schedule, and physical abilities as well as to find the most dazzling birds for the time of year.